Italian chef Massimo Bottura is a genius who has brought Italian cuisine to a completely different level. If France is renowned for its obsession with classics and Spain is the culinary hub of innovation, Italy is steeped in tradition. It is a country which takes its critics seriously. I remember a football coach once saying that the country had 60 million football coaches. A chef, I am not sure if it was Bottura, once said that there are as many food critics. These food critics will obsess about whether any fish dish should be served with cheese (this is a taboo for many in Italy) and I can understand why. Italians shudder to think of mixing cheese with fish for example though there are some very minor exceptions. You can normally spot an authentic Italian pizzeria anywhere in the world by looking for their Pizza Marinara. If it has mozzarella, the chances are it is not run by Italians. 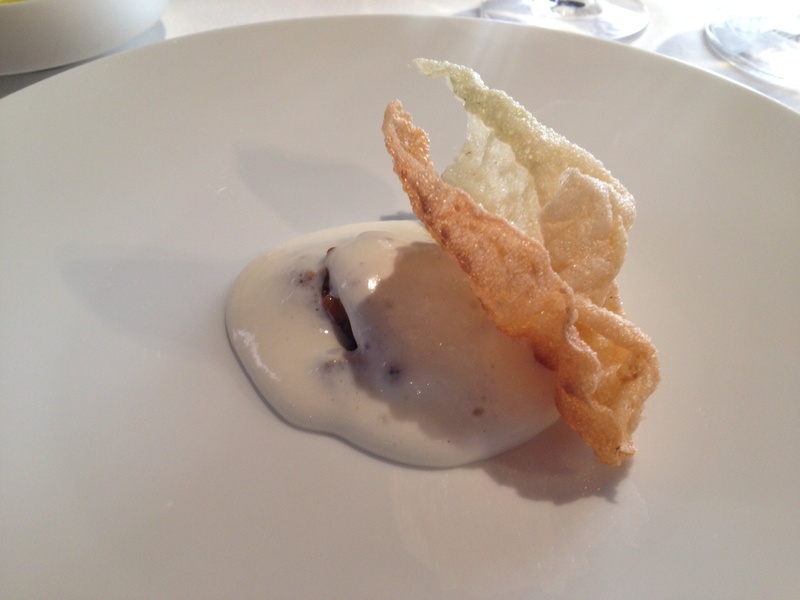 Bottura, with his Osteria Francescana, however, plays in a different league. Having gone in search of inspiration in France and Spain among others, he shows an incredible respect for ingredients. Who else would have thought of coming up with a dish called the five ages of parmesan which just showcases one ingredient? Or who could invent a reconstructed lasagna with a sumptuous ragu and a lasagna crisp? The Modenese chef has reinvented classics. His dishes all tell a story and you sometimes wonder how he gets his inspiration. When you walk into his restaurant you realise that he is obsessed with modern art and it is obviously here that he gets most of his inspiration for his dishes. While modern, Bottura is also respecting tradition. He is always in search of the past but tries to reinterpret dishes and give them a modern twist without trying to be clever or over doing it. 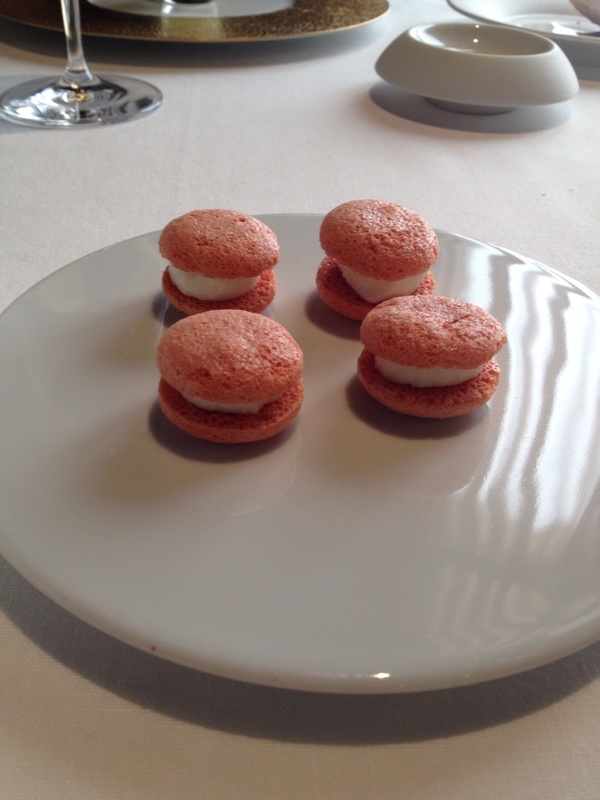 The meal at Osteria Francescana was one to remember. It was a pity that Bottura was not there but in Istanbul because I am sure the experience would have been even better. The meal started off with a macaroon of tomato and mozzarella. The flavour of the tomato burst in your mouth. The lemon granita and limoncello foam cleansed the palate for the start of the sensations menu. The first dish was exceptional. It was eel served with a cream of polenta and apple gelee. The eel was perfectly cooked, worked incredibly well with the apple and the polenta was out of this world. What followed was a joy for the eye but also for the palate. 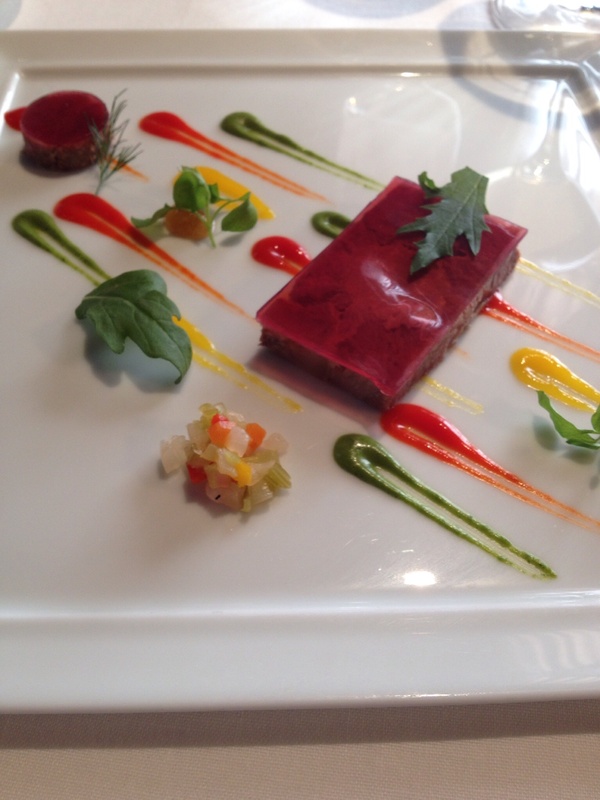 It was a pate served with a jelly of Lambrusco, the regional wine, as well as a puree of different peppers, green, red and yellow. Visually the plate was stunning. Next came the Caesar Salad or rather Bottura’s interpretation of this classic salad. You need to be incredibly confident to serve such a dish in such a restaurant. But he used the lettuce as a condiment to 23 different ingredients all stuffed within the leaves from egg to parmesan crisps, to mint and anchovies, to bacon and mustard, lemon and only the chefs know what else. This was outstanding. This was followed by what Bottura’s calls a day out in the Modenese countryside, a dish which was not only a joy to look at but also excellent (see it here). The snails were hiding under the leaves and it was topped with a beetroot sauce. The lasagna stole the show for its originality, with the ragu cooked sous vide, but not for long as we were then served with what was probably the star of the afternoon, the five ages of Parmeggiano Reggiano dish which I have written about here. This was then followed by frog legs coated in hazelnuts and a pasta which gave the illusion of a pond. After this came a superb pasta dish, Bottura’s notorious “The dream of a Frenchman to cook pasta like an Italian.” Three ravioli stuffed with fois gras which burst with flavour making you wish there were more. What followed was probably the best piece of meat which I have ever tasted. Pork cooked sous vide and then finished in a pan to crisp the top. It was served with a 45-year-old balsamic vinegar from Bottura’s private cellar together with asparagus and horse radish. What can I say. This was out of this world. Next came a risotto cooked with olive oil and covering pigs cheeks, followed by an original dessert of strawberry sorbet, a pea cream, pea meringue served with fresh milk from Modena’s countryside. Coffee was served with a medley of chocolates and sweets which as expected could not be faulted. Verdict: Book a flight to Bologna which is only 30 minutes away from Modena and head there now before it becomes much harder to book. It is no wonder this restaurant is ranked number 3 in the world. Expect the unexpected. 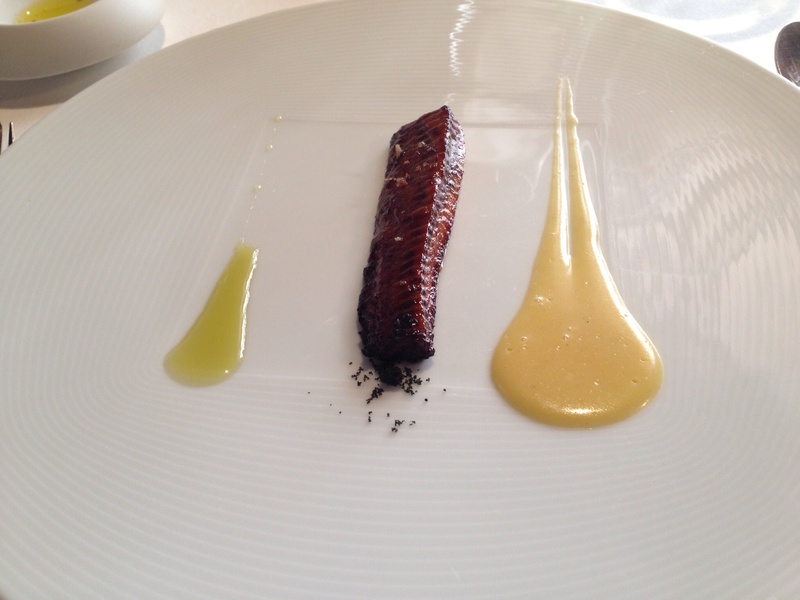 From Bottura you cannot expect anything less. 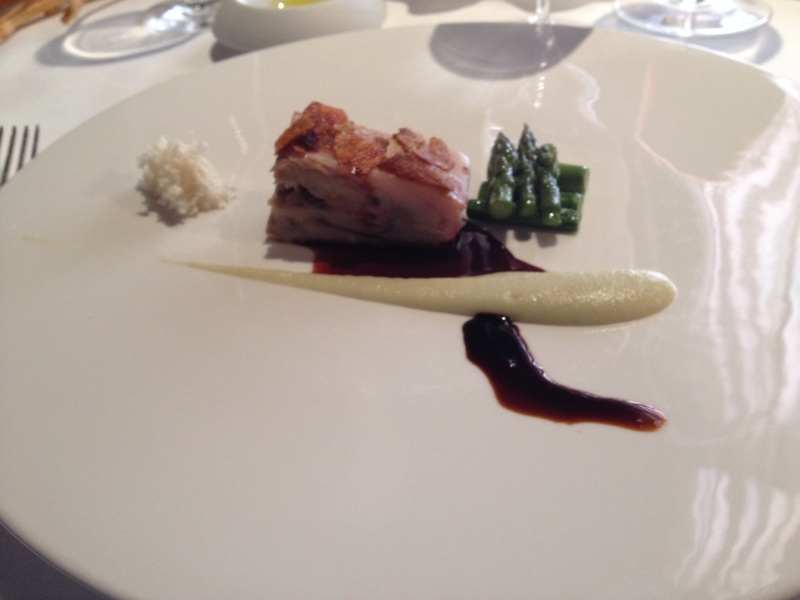 Osteria Francescana will make you rethink what’s so special with Italian cuisine. Im going next week , watch out for my thoughts…..and pics on my blog.